Last edited by IGOR on Thu Oct 25, 2018 10:18 am, edited 5 times in total. Great success!When did you get a reply? Last edited by IGOR on Thu Oct 25, 2018 10:19 am, edited 3 times in total. Why do you keep sending to abba? Is this the 25th time? Or 30 times? 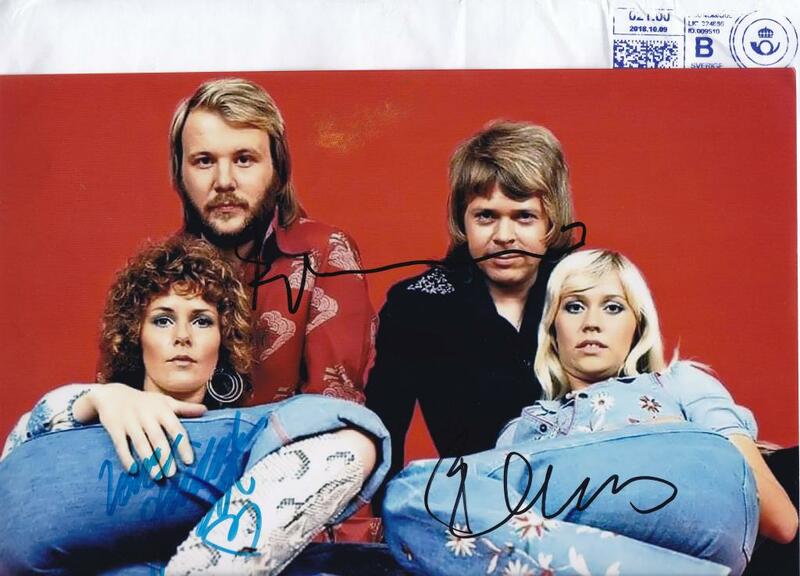 Why do you keep writing to abba? What is wrong with you ? Almostbitten wrote: Why do you keep sending to abba? maybe ..he is an fan? I've got lots of autograph of my fav's are Amon Amarth and Tarja, Ensiferum and when I have a chance for another..why not ? whats wrong with this ?????? view my KISS and autograph web-site with a lot of Metal autographs which I received in private and not posted here. Last edited by IGOR on Thu Oct 25, 2018 10:13 am, edited 6 times in total. Nothing wrong its just very strange to have posted over 50 abba succeses in 2 years......... And Over 50 is not a exageration....check igors profile and posts and you will see.. .3 or 4 signed abba photos i would understand but writing to them that many times seems like an obsession..
Last edited by IGOR on Thu Oct 25, 2018 10:18 am, edited 6 times in total.